One dish garden of lush indoor plants arrive planted in a decorative container. 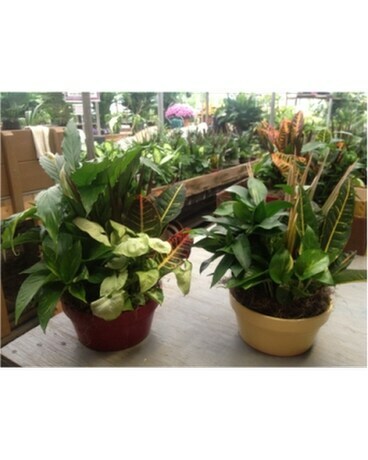 Allow our designer to pick the container and plants from the large selection in our greenhouse. Picture shows 2 $60.00 size dish gardens in ceramic bowls. Conainers and plants will vary based on current availability. Container may be ceramic, plastic terra cotta or wicker.